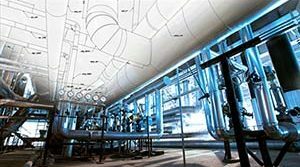 Hydraulic Snubbers Designed for a Steam Generator in Mexico | Piping Technology & Products, Inc.
PT&P designed Fig. 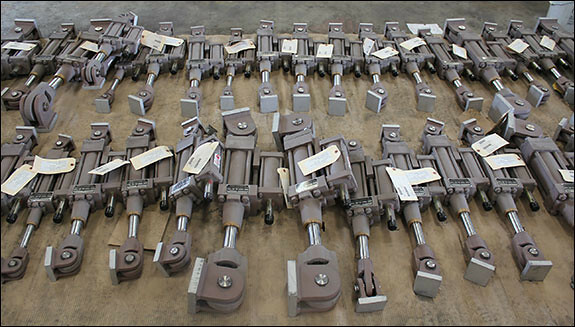 510 AD short strut hydraulic snubbers for a steam generator at a facility in Mexico. 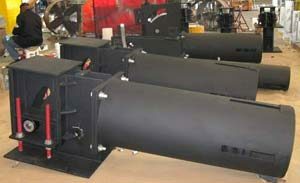 The snubbers ranged in length from 24″ up to 30″ pin-to-pin with cylinder diameters of 1.5″ to 3.25″. A total of 48 snubbers were fabricated from carbon steel and designed for an operating load raging from 3,000 lb. to 20,000 lb., with a 6″ stroke. Snubbers are used for systems where unrestrained thermal movement must be allowed except during cyclic disturbance. Hydraulic snubbers are designed to protect the piping system when a sudden, heavy load is applied (such as an earthquake of high intensity), which can cause serious vibrations leading to damage and possible failure of the piping system.